what you can achieve with router. 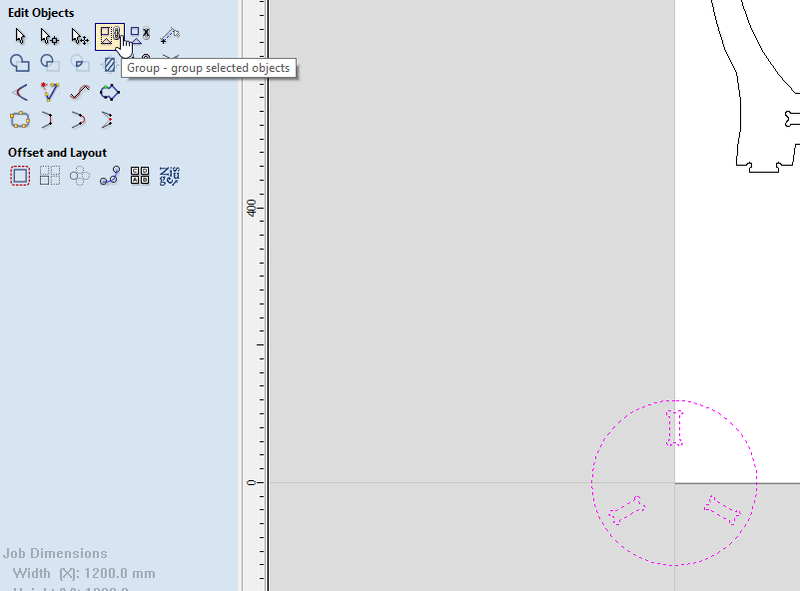 how to prepare a simple design for fabrication. 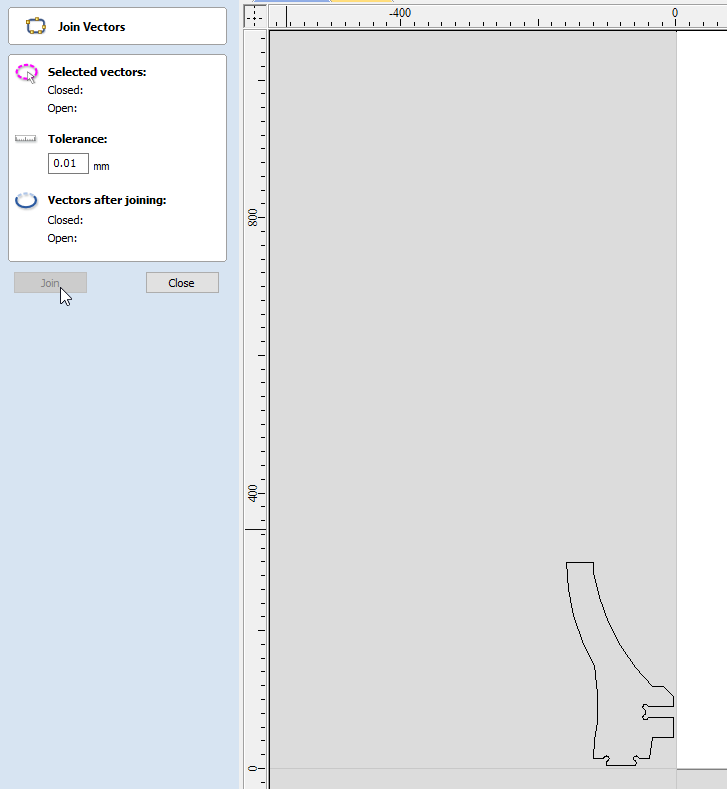 how to assign tool paths and export for the router. Cutting and finishing your job. Machine be used by inducted participants only. Enclosed footwear must be worn at all times. Personal Protective Equipment (PPE) must be worn when operating, supervising or observing the router in operation. When machine is running, keep clear of any rotating or moving parts eg. the cutting bit, spindle moving gantry and head parts. Do not lean on machine whilst in operation. Parts of the machine , particularly cutting bits, will get hot so you may need gloves when handling/ or changing tooling. Maintain a clean workspace-check that the gantry and rails for tooling/materials left behind. Clean up as you work. The machine does the messy work for you to clean up! Use the right tool for the job. Different tooling pieces have a specific purpose and material. The CNC is fitted with an emergency stop. This can be activated to bring the machine to an immediate stop in an emergency. Note -if the machine is turned OFF mid operation, wait 1 minute to turn ON. After activating emergency stop, needs to be homed. The bit takes at least 30 seconds to come to a complete stop. Even if you touch it. The bit can fracture, break or shatter. The gantry can move at over 10 meters/min and weighs over 100 KG. It can hit with enough force to knock a person over, or trap and mangle a limb. The vacuum bed is soft aluminium. If it is damaged the machine is unusable. Drill bits are brittle, and will shatter or crack if dropped on concrete. Refer to you assessment handout. Inverter enclosure- DO NOT OPEN! High Voltage. Main on/off switch is located here. Vacuum Pump manifold - four sections can be isolated to increase vacuum. Check over the wasteboard for rough and uneven spots and sand down using scour pad. Use compressor to blow dust away. 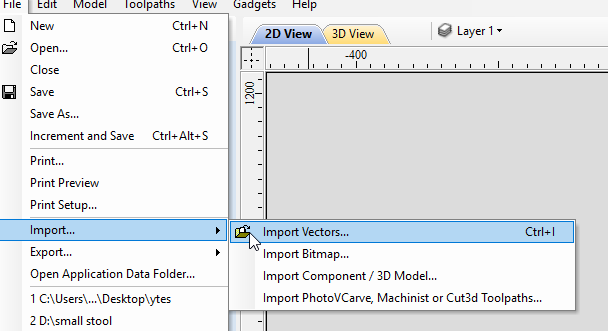 Export your file from illustrator (or other program) as a DXF. As of August 2017 we have moved to using Vcarve for inductions. You can download Vcarve Pro and authorize it with The Edge's makerspace code. 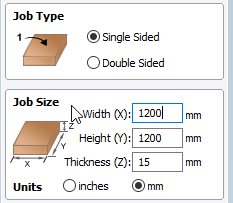 Make sure your material dimensions match your Job dimensions. For he inductions we use 1200x1200x15mm sheets of ply. 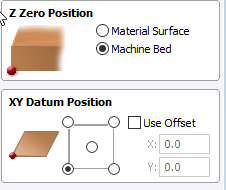 Import your first DXF shape. 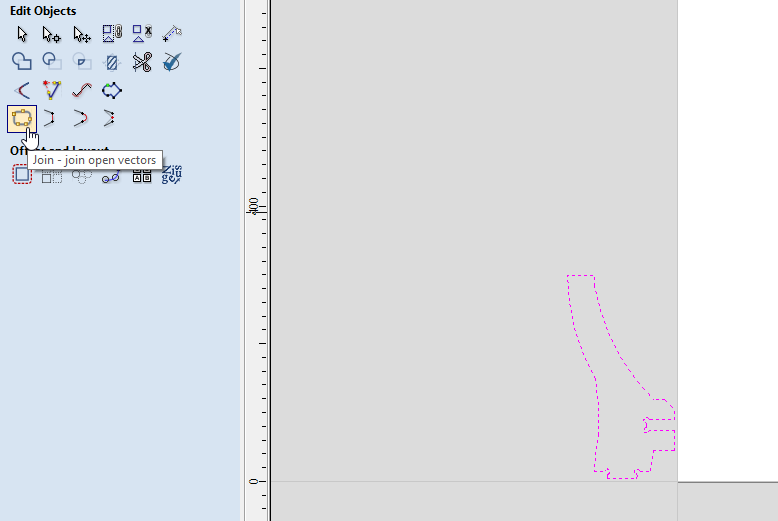 We need to check if the vectors need to be joined wtih the join tool. 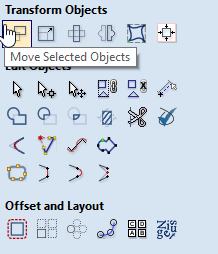 If you see open vectors, close them. 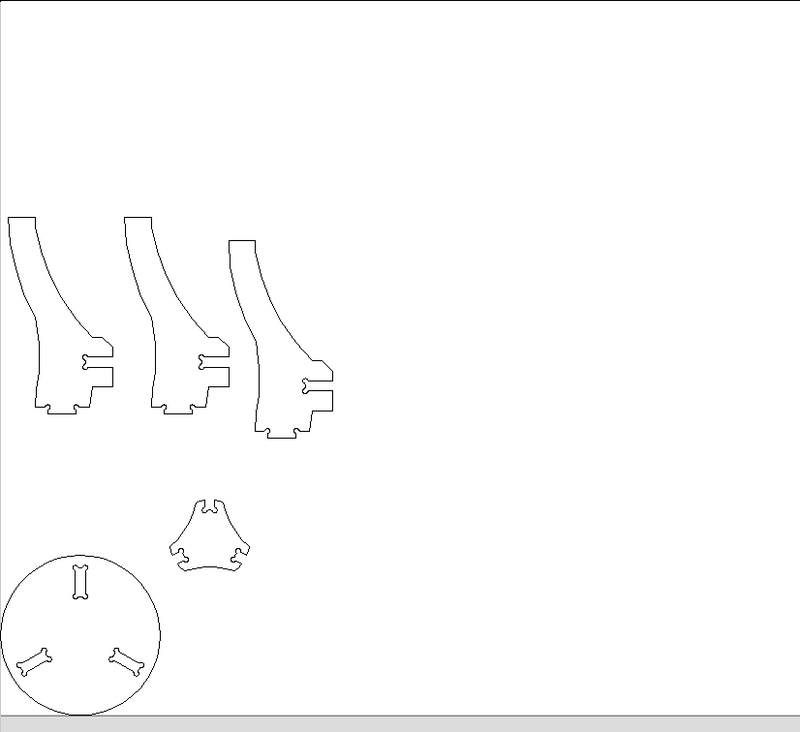 Import your next shape - if it has separate parts - group to move all together. The router follows the tool paths to cut. Routing offset this is for whole, complete shapes with no breaks. Cuts around the edge of the shape. Internal (female) cuts inside the shape. external paths (male) cuts outside the shape. Island Fill/Island Hatch - removes all material inside an area. Select the tool type you would like to use -For the induction we use the 6.35mm upspiral. These are the settings which the router uses to operate. It is up to YOU to set them correctly and double check any existing settings. Set the depth in the path dialogue. Depth - How far above the bottom of the wastebed the router starts its cut. Plunge - How FAST the router move in the z dimension into the work material. Priority- In this menu you choose the order the machine will operate. Strategy- Determines the order of cuts. Recommended is engrave, internal (female) then external (male). Other options include small parts first and maintain groupings. Deselect maintain groupings. Changing the tool is an operation only to be carried out by a Fabrication Lab Supervisor. Load material onto the waste board. If a piece is moving or get stuck in the extractor. Watch the spindle - verify it has stopped. Note -if the machine is turned OFF mid operation, wait 1 minute to turn ON.